One of my guidelines for song seed catching is: when you catch a seed, you lift it out of its original context, and may wind up framing it in an entirely different way. In this case, though, the seed resonated with something I loved about the book as a whole: the notion that a secret society of semi-immortals might do their work with small, minor tweaks rather than big interventions. It’s kind of dour and optimistic at the same time—often the mood I’m in when I write my more reflective songs. Anyway, I found myself trying to capture a bit of that spirit and outlook in the lyric. You can certainly appreciate the song without the back story that it’s being sung by a semi-immortal living in Las Vegas. In fact you might say being a good songwriter is all about being an incrementalist: – not settling for good, believing in better, and trusting that small delicate interventions can have large and global effects. Now here’s the lyric! Asking only—is it better thus? In good “networked creative” fashion I’ve sent the lyric to one of the authors, Steven Brust, who was kind enough to post it on his own blog: http://dreamcafe.com/. Go check it out, and check out the book! 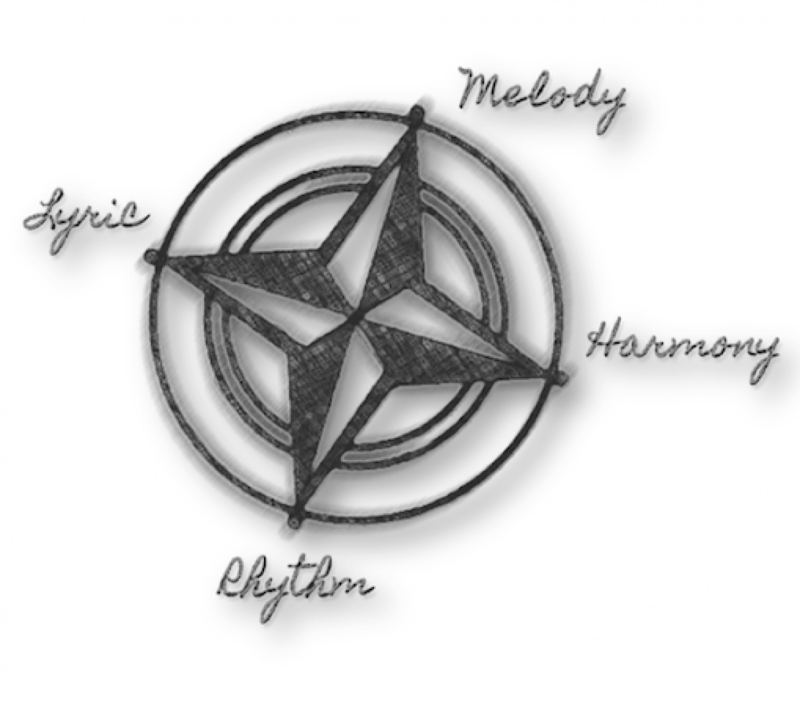 Now, since I have what I call a “dry lyric” — I think my next step will be working the Songwriting Compass “pathways” to complete the song. Stay tuned for the time-lapse, stop-action photography video! Your Challenge: The next “lounging on the couch” book you’re reading, when you’re definitely “off duty”’—stay alert for a song seed. Catch it. Write it into a song. You don’t need to invoke the overall context of the source book, as my lyric does here. Almost better if it doesn’t. thank you, mark. i’m quite the seed gatherer. it’s the work of finding the story that makes my brain explode. but this is helpful. you say “dry lyric” — you wrote this with no music in mind?